Matika Wilbur, the creator and director of Project 562 has been on campus since last Friday for a week-long artist-in-residency. 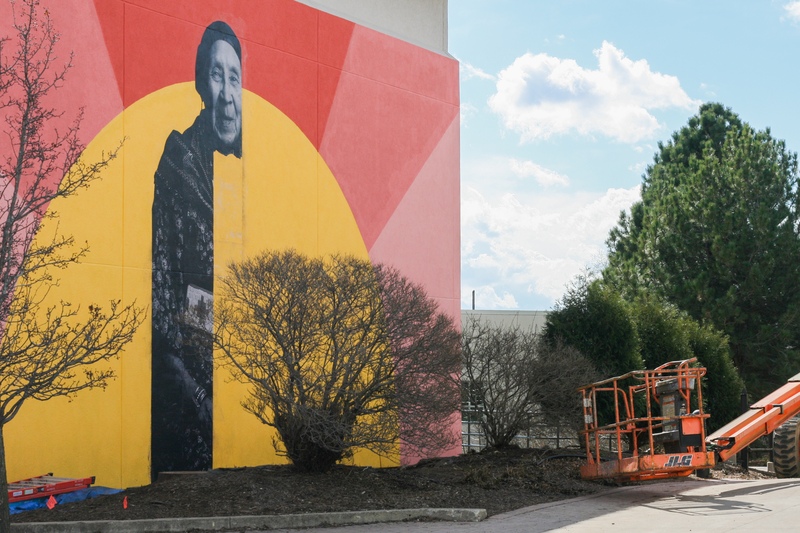 Wilbur’s work has included the creation of a mural on the Buchanan Kiewit Wellness Center celebrating local tribal communities. Wilbur delivered a Convocation on Thursday which will be highlighted in next week’s issue, along with the completed mural.